Bothriochloa spp. are non-native warm-season grasses invading native grasslands of the southern and central Great Plains, altering ecological services these grasslands supply. Our study investigated potential allelopathic effects of the invasive grass species B. ischaemum on native grass germination, growth, and survival. Leachate or litter from Andropogon gerardii (native) or B. ischaemum were applied to two native grass species (A. gerardii; Schizachyrium scoparium). Leachate and litter were also added to B. ischaemum and a water control was included. Germination, above- and belowground biomass, and survival were determined. Application of B. ischaemum leachate or litter significantly reduced the germination, growth, and survival of both A. gerardii and S. scoparium but had no conspecific effects, while A. gerardii treatments had no effect on any species. Bothriochloa spp. may gain a competitive advantage through allelopathic biochemicals. It is unclear if these allelopathic effects directly hinder competitors or indirectly hinder them through alterations in soil microbial communities, however, reductions in germination of native seeds strongly support direct allelopathic effects. 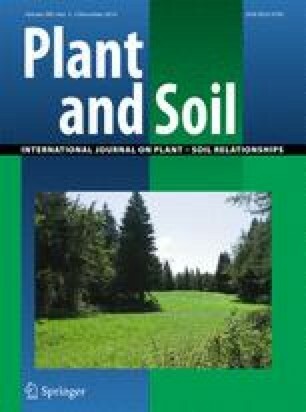 Greater phenolic content in native grass leachates suggest allelopathic biochemical production may not be unique to non-native species and may be a mechanism for maintenance of plant species biodiversity in native systems.